1. Living, breathing running shoes. If everything goes according to Shamees Aden’s plan, you may one day never need to buy another pair of running shoes. The designer and biotech researcher unveiled her product concept, a collaboration with a University of Southern Denmark professor, at London’s Wearable Futures conference. The shoes are 3D-printed using protocells — molecules that are not alive but can be combined to create living organisms — and conform to the wearer’s foot like a second skin. After a run, they’d need basic care,like a houseplant, and they could also respond to pressure exerted by the wearer, inflating or deflating as needed to better cushion the foot. The technology needed to create a fully functioning prototype, however, is still about 20 years away. 2. The phone you can take apart like Legos. Like playing with LEGOs, a modular smartphone is a make-it-yourself device consisting of an endoskeleton base and modules that attach to create a custom phone. Don’t care about having a camera? Swap it out for a larger battery. Want to update your display without getting an entirely new phone? You could do that, too. Motorola has been collaborating on a mission to make these devices a reality with Dave Hakkens, creator of a similar initiative called Phoneblocks, since this past fall. Project Ara would result in less electronic waste with devices that last a lot longer. 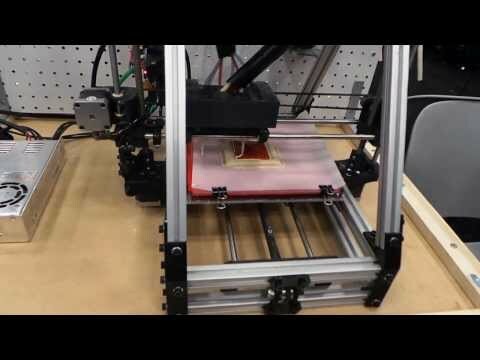 Leading 3D printer manufacturer 3D Systems also recently got involved in an effort to improve the phones’ blocky aesthetics. 4. An app that catches your dreams. Shadow is an app designed to wake you up oh-so-gently, because no one likes a jarring wakeup and because that’s the best way to bring you into “hypnopompic” sleep — the space between sleep and awake where dreams are most easily remembered. 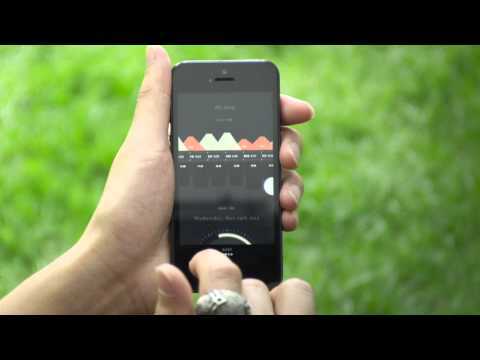 The app would then prompt you to record your dream via text or voice. It would result in a database of dreams that could not only help individuals better understand themselves, but could give sleep scientists more fodder for analysis. Shadow was successfully funded on Kickstarter back in November, so you can look out for it sometime soon. 5. Showers that reuse your soapy water. The OrbSys shower claims to save up to 90 percent of the water you’d normally use to get yourself clean by catching and sending it right back to you. Don’t worry — the dirty, soapy water goes through a purification process first, before it emerges as drinking quality at a higher-than-average pressure. And because the used water only needs to be reheated slightly, the shower saves up to 80 percent in energy, or about $1,350 per year from the average utility bill. Swedish tech company Orbital Systems developed the shower with NASA’s Johnson Space Center, having been inspired by the designs used in space missions, where fresh water is obviously limited. 6. A mind-reading camera that makes life GIF-able. How many times has a moment so absolutely hilarious or unbelievably adorable unfolded before your eyes, making you wish you’d been holding a video camera? Japanese tech company Neurowear’s high-tech headgear, Neurocam, aims to solve that problem for you. The device straps a camera and an electroencephalogram reader to the wearer’s cranium. During moments of high-frequency electronic signals detected through the skull — a general indication of excitement — the camera switches on to record short five-second GIFs onto an iPhone that is somewhat awkwardly attached to the device. 7. A bike wheel that could save your commute (and the planet). Instead of arriving to work breathless and drenched in sweat, what if you could glide up to the bike rack with ease, knowing you’ve just saved time by not walking, as well as dollars and pollution by not driving? The FlyKly Smart Wheel aims to help promote biking as a transportation alternative by making the whole ordeal easier. Simply switch out your rear bike wheel with a new, minimalist electric one, and download the app for your smartphone. The wheel communicates with your phone via bluetooth, tracking distance, time and speed — the wheel can go up to 25MPH for about 50 miles without needing a charge. Smart Wheel’s Kickstarter campaign was funded above and beyond its goal back in November, and pre-orders are starting now. 8. A wristband that lets your boss play Big Brother. You’ve may have heard of quantified self, the term coined by Wired editors Gary Wolf and Kevin Kelly in 2007 to describe the growing practice of logging personal biological data. Nike’s Fuel Band, for example, really took off this year by offering wearers the chance to track their own physical activity. Back in February, however, British supermarket Tesco was accused of using armbands on each of its warehouse workers to monitor speed of work, punishing workers for taking unauthorized breaks. It helped spark a conversation about the concept of a “quantified workplace,” wherein employers use increasingly commonplace tracking devices ostensibly to help employees help themselves become better worker bees. Yes, this kind of efficiency study has been used for over a century already, but it could add to the vast amount of personal data that is already beginning to replace traditional hiring (and firing) practices. 9. A pen that lets you draw 3D stick figures. The toy company WobbleWorks put up a Kickstarter page back in February to fund its 3Doodler pen, a fun device that allows doodles to expand beyond 2D surfaces. The goal was to raise $30,000 to launch their product. By the campaign’s end, however, the company had garnered over $2.3 million in donations. The pen works by heating up and dispensing a thin plastic filament that cools down quickly to create hardened structures. It’s like drawing with hot glue, and each one-foot stick of plastic can provide 11 feet worth of doodles. 3Doodlers are still not quite ready for mass production yet, but they are available for pre-order. 10. A real-life version of Harry Potter’s Marauder’s Map. The map used to track the locations of everyone in the Hogwarts School of Witchcraft and Wizardry is now real! Kind of. A team of researchers at Carnegie Mellon created a network of video cameras that track human movement using mathematical models, showing the locations of many people at once. The system can estimate locations even if an individual has slipped out of the camera’s view. It was tested in a nursing home to help staff keep track of residents – the researchers intended their project be used for such good applications, not evil. “The goal is not to be Big Brother,” one clarified. 11. Home insulation grown out of fungi. 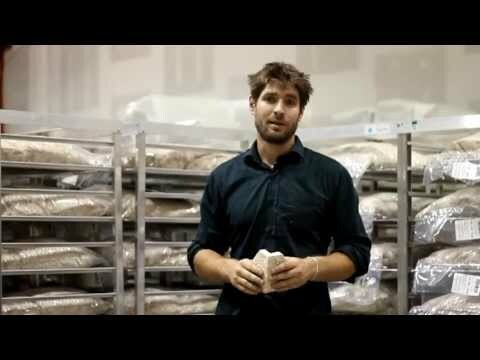 The winning submission to this year’s Buckminster Fuller Challenge, a $100K prize doled out to the most socially responsible design, was Ecovative’s mycological biomaterial. College buddies Eben Bayer and Gavin McIntyre came up with the idea to use fungi as a binding agent while studying engineering at Rensselaer Polytechnic Institute in New York back in 2007. Their eco-friendly material could replace existing plastic foams — which are both non-recyclable and petroleum-based – with a substitute derived from fungi for applications in furniture, building insulation, and even footwear or surfboards..
Mun, a recent graduate of the Rhode Island School of Design, created a typefacecalled ZXX intended to fool text-scanning programs in protest of the National Security Agency’s surveillance programs that were brought to light this year. The font gets its name from the coding system the Library of Congress’ uses to label a book’s written language. “ZXX” indicates “no linguistic content.” It’s free to download online. 13. 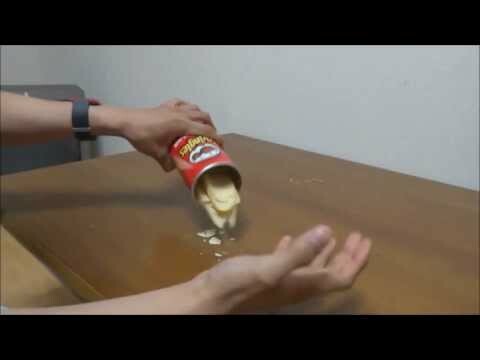 An amazing new way to eat Pringles. Clearly the most life-changing invention on this list, the beautiful simplicity of this Pringle dispensing device makes us wonder how it took so long to become a reality. Never get your hand stuck in that tube like an over-eager raccoon again! The EntreX Chips Dispenser is basically an bigger version of those slap bracelets you had as a kid — it clips around the outside of the can until you’re hungry, and then can be straightened out to help reach the bottom of the can.